Get Your Key To The Cure Tee on October 1! One of my most favorite charity shopping events of the year is just around the corner! 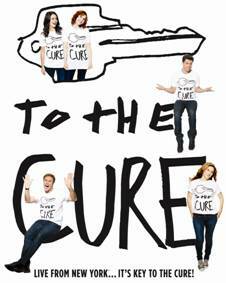 For this year’s 2014 Key To The Cure campaign, Saks Fifth Avenue is teaming up with ambassadors for the 2014 campaign who include Will Ferrell, Ana Gasteye, Vanessa Bayer, Cecily Strong and Colton Jost. The past and current SNL cast members will don limited edition T-shirts created by Marcus Wainwright and David Neville of rag & Bone. All of the proceeds from each shirt that is purchased at the Saks Fifth Avenue store in Cincinnati beginning October 16th will be donated to the Cris Collinsworth ProScan Fund. 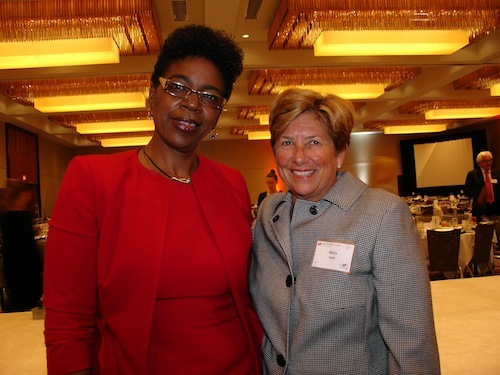 This organization is dedicated to breast health and provides education, early detection services and even support for breast cancer patients on their journey to healing. You can also help this cause do even more good in the community by shopping the Saks Fifth Avenue charity shopping weekend October 16th through 19th when 2% of vendor sales at the store will also be donated to the Fund. The T-shirt will debut at the store on October 1! Be sure to mark your calendars so you can not only get there to get an awesome shirt but so you can help support a really great cause! Shop Saks Fifth Avenue for Father’s Day and Help Give Back! Searching for the perfect gift to give dad this Father’s Day? 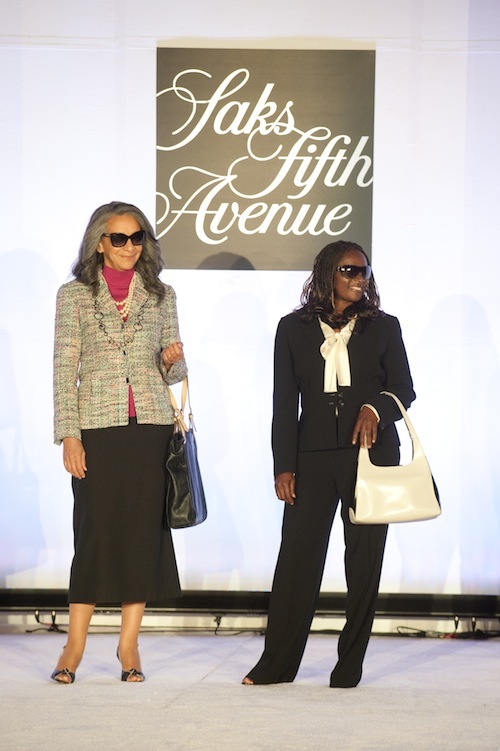 Head to Saks Fifth Avenue and help the retailer give back to the community. Saks Fifth Avenue is giving back for Father’s Day June 8 through the 15. 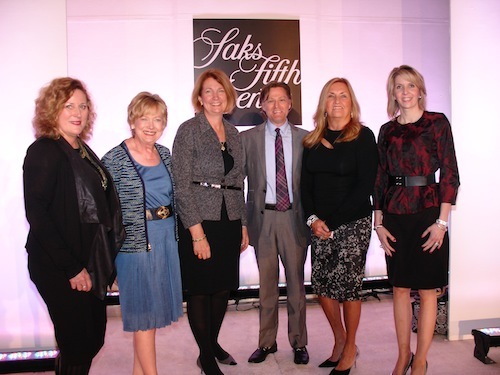 The store will donate 5% of Saks Fifth Avenue Collection men’s purchases to St. Jude Children’s Research Hospital. Beauty Week Sale at Saks, Now through Oct. 5! Saks Fifth Avenue is having one of their best sales on beauty products now through October 5! With any $100 beauty purchase, you’ll receive a tote bag. Anyone who purchases $150 in beauty products will be given a matching cosmetics case as well as the tote bag. Sounds like a great time to be stocking up on all your beauty must-haves, as well as all these freebies they’re including with purchase this week! Create Your Own Manolo Blahnik Shoe at Saks Fifth Avenue! 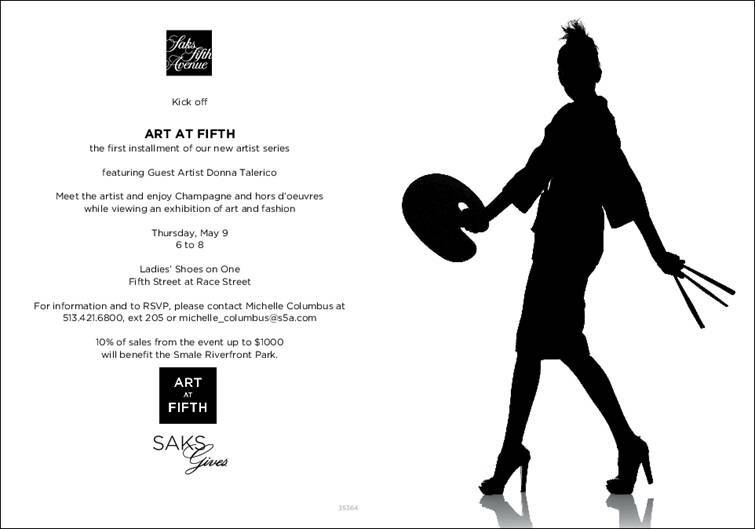 If you’re a shoe lover like me, then you’re going to absolutely love this amazing opportunity from Saks Fifth Avenue. Amie Wersching, the marketing director at Saks Fifth Avenue in Cincinnati, just informed me that you’re invited to create your own one-of-a-kind Manolo Blahnik in the shoe department October 2-5! You’ll have the option of choosing from 6 different styles, 28 fabric and color swatches and 6 different heel heights for a shoe all your own! 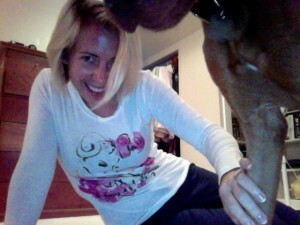 The styles up for customization include the BB, Hangisi, Tayler, Carolyne, Sedarby and Chaos. You can choose from leathers to satins for the fabrics and heel heights ranging from flats to a towering 110mm. If this event doesn’t get your designer juices flowing I don’t know what will! This sounds like so much fun and I can’t wait to check it out! Don’t forget to mark you calendars for this awesome chance to fly away to shoe heaven! Manolo Blahnik Trunk Show at Saks April 8-16! Ladies, prepare your inner Carrie Bradshaw for some exciting news! Saks Fifth Avenue is hosting a Manolo Blahnik trunk show and a preview of the Spring 2013 Collection! The trunk show will run through April 8-16 from 10 a.m.- 6 p.m.
For more information or to schedule an appointment, call 513-421-6800 ext. 350! Saks Makeup Event March 22! My friend Chelsea is a makeup artist at Saks and she told me about this amazing event on March 22! “Beauty 101: Secrets Revealed” will help you with all of your beauty questions during Saks special Artist Series! I love the “three B’s” concept! Your makeup bag, brushes and entire beauty regimen! Chelsea and Colleen McCorry, Trish McEvoy’s special visiting artist, will give you fantastic tips to transform your life. Three different sessions will be held March 22 so guests have the option of 10-11:30, 2-2:30 or 3:30-5! Plus, Trish McEvoy will donate 5% of the event’s sales to benefit TriHealth Cancer Institute. Call my gal Chelsea at 513-421-6800 ext. 352 to reserve your seat! This sounds like a bunch of good fun, info and a great cause! Hope to see you there! Saks Spring Shoe Trunk Show February 23-26! Mark your calendars for the Spring 2013 Contemporary Shoe Trunk Show at Saks Fifth Avenue! Featured brands include Ash, B by Brian Atwood, Rag & Bone, Vince, Milly and more! The trunk show is also a great opportunity to shop great styles from $65-$400. This year, the even will be held February 23 through February 26 from 10-6! Champagne and sweet treats will be provided February 23 from 2-5 pm! For more information about the event, call 513-421-6800 ext. 250! Thanks to my assistant editor Sara Elliott for helping put this blog post together!